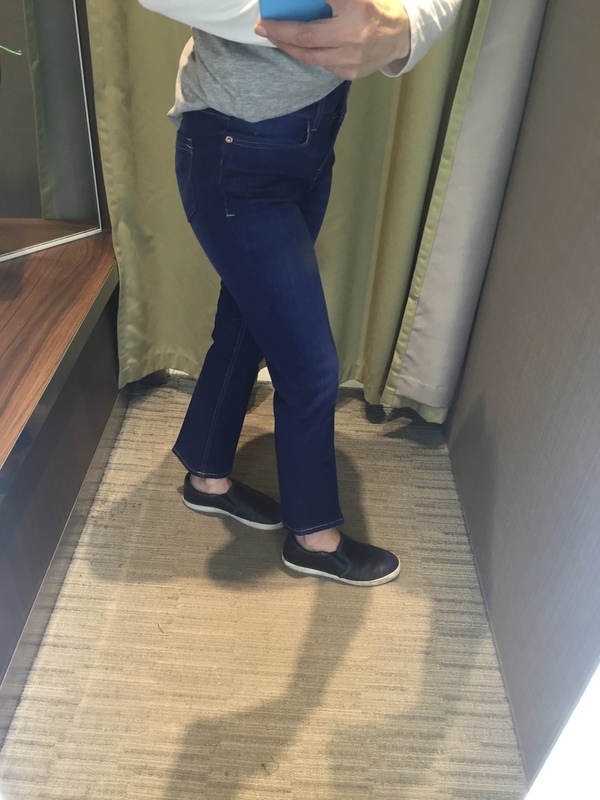 Cropped Kick Flare Jeans for Petites? Who out there remembers the Clothes Show? You know, that old BBC chestnut from back in the day: the one presented by the rather flirty & giggly Selina Scott and Jeff Banks and then eventually, by Caryn Frank as well…? Well if you can’t remember it, its well worth a google, if for nothing else but a bit of a laugh! Honestly, it’s a classic… sort of: I suppose it was a ‘first of a kind’ on TV in bringing us catwalk fashions (I seem to remember an awful lot of Pet Shop Boys music being used) & how we might translate those catwalk styles into everyday wear; it was also one of the first TV shows to bring us Brits a TV ‘make-overs’. This leads me nicely onto the cliches they would hash out time and time again when making someone over: trust me when I tell you, it was pretty basic… no 10 Years Younger with botox or surgeries, just a railing of clothes, a hairdresser & make-up artist… oh and the classic advice/rules which should be followed for your body type. In other words: always ignore fashion trends and attempt to ‘hide’ your physical attributes such as being short or tall… so you can ‘blend’ in to the norm. Anyway, back to the make-overs: for example, when making over someone short (usually a top heavy lady)… she (the volunteer) would without fail wind up in quite a plunging v-neck to elongate her neck; she would always be advised to “never wear crops because they shorten the leg. 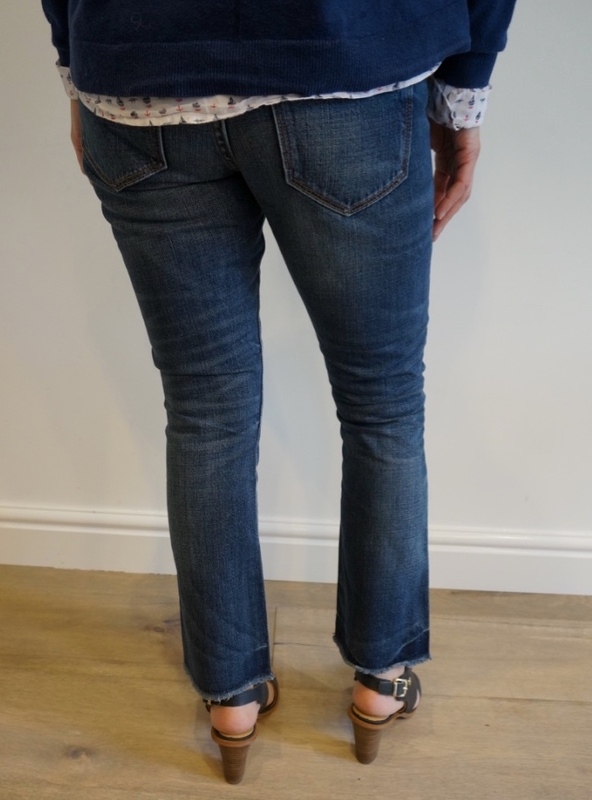 Always, always wear super long trousers down to the floor with a heel to elongate. If you wear a skirt, never ever wear a boot as it chops the leg in half. Always wear a heel. A court shoe…” And so on. Now whilst that may well be good advice, the thing is, its difficult to apply to everything and always. It also ignores fashion trends and takes the fun out of clothes (for me, at least). Whilst I’m not someone who has to jump on every single bandwagon that the fashion industry puts out there, I want to be able to join in some of the fun too, right? And as for rules… well, aren’t they meant to be broken sometimes? 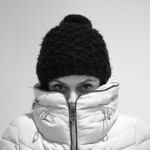 As for blending in… in terms of fashion, aren’t we all secretly hankering that ability to ‘stand out’ from the crowd?? With all of that in mind, here’s the big question: can little shorties like me, get away with a cropped kick flare jean? 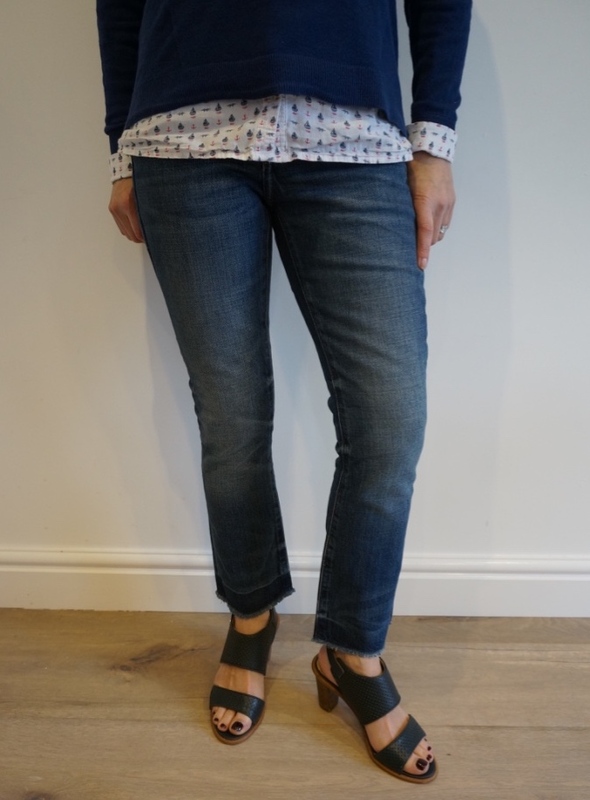 Or will this cut of jean end up shortening the leg too much & being big fat no-no? I wasn’t as sure about these mainly because of the frayed hem, which appears to be a very popular finish to in the world of crop-kick jeans. I think possibly, because most of my clothes have seen better days, especially my jeans, nearly all ripped at the knee from wear rather than being bought as a “look”, I generally prefer to go light on any distressed looks and would prefer a sewn hem, or a ‘released hem’ where the hem looks like its been taken down (rather than just hacked off!). Thoughts? Well I wasn’t blown away by them that’s for sure. 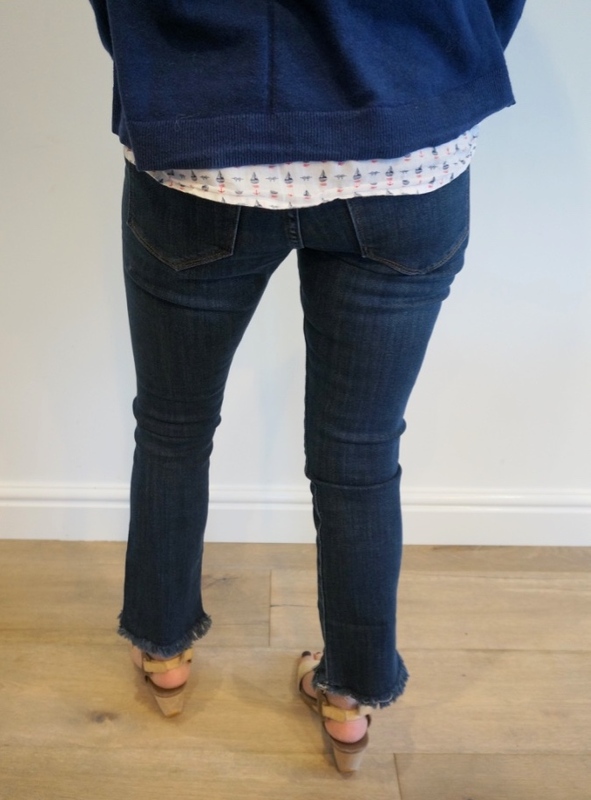 I thought the jeans were a brilliant fit on me as the rise was just right, not too high given this style of jean seems to go hand in hand with my nemesis the ‘high waist’ (ugh! ): over all a great fit. However, the colour wasn’t right, it wasn’t going to work for me going into Spring Summer. And the all important length? Well, petite ranges are usually for ladies who are 5’3″ and under. I think these would be an excellent length on those who are 5’3″ or 5’2″ but on me, they just felt wrong. Or perhaps it was a footwear issue…? Miraculously, even without a heel, I still liked this pair on me. I thought they were both a flattering cut & that the cropped length was indeed something I can get away it. After sleeping on it, I decided I couldn’t cope with the distressed & frayed hem: its just too Robinson Crusoe for me. I still get crop-kick-envy when I see others carrying the frayed look off beautifully, its just not for me. Both pairs were sent back. So where else to look? 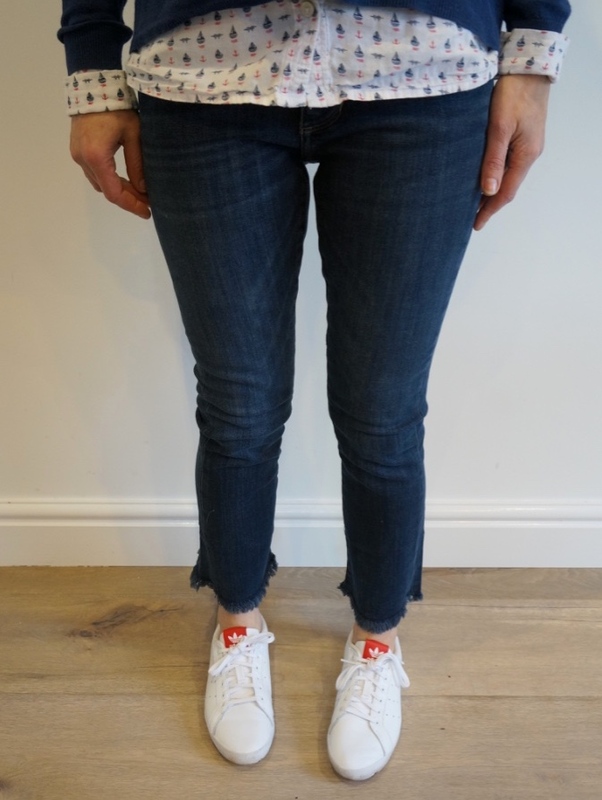 As I did the school run straight after the ridculously high-waisted crop-kick experience, it almost felt like I hadn’t actually done it (go to the shop & try the jeans on that is) and I almost forgot about it… almost. Luckily for you, there was photographic evidence so I couldn’t not include it! I suppose there is always the option of just chopping up a pair of your old flares? 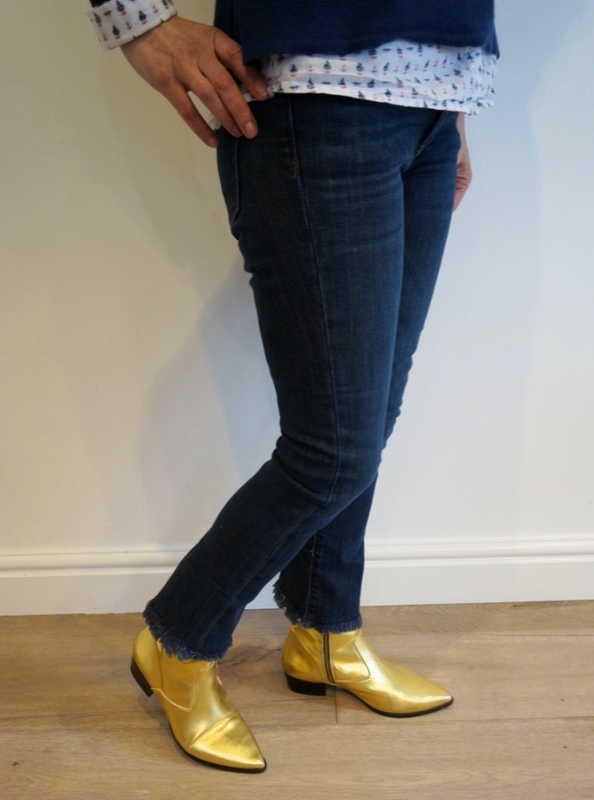 I just don’t have any… however, if you’re feeling brave and fancy taking a punt, you could get this look on the cheap: Me&Em have these fabulous looking flares for just £15 in the sale, with most sizes still available. I would imagine they didn’t sell that well in the winter months because of the colour but they have the most fabulous vintage stitching – I would definitely buy a pair, but yet again the rise looks too high for me. I’m short, just 5′. Yes, I’m no Alexa Chung and yes, the cropped-ness of a crop-kick probably does make my legs look shorter. 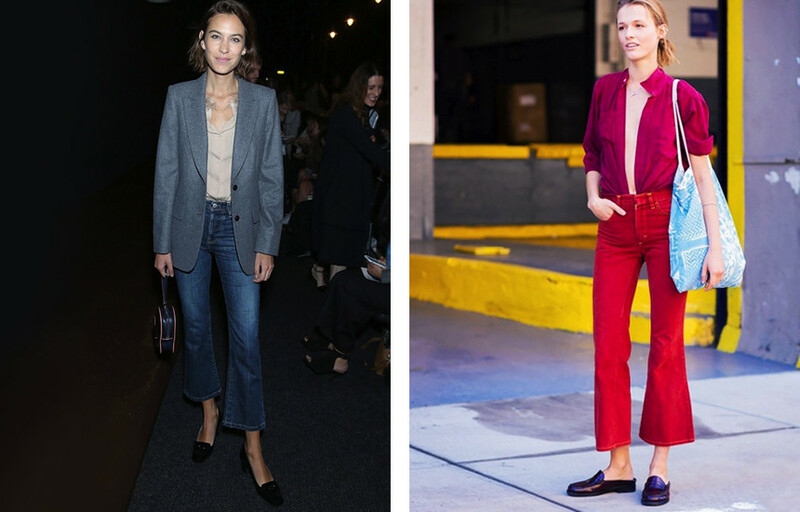 Finding the right crop-kick flared jean though, is like finding the perfect pair of any jeans: it’s no easy task. Oh I’m glad you did that one and not me. I tried on one pair of cropped kick flares on in H&M and they looked like really bad bootlegs on me and at that point I decided I’d leave it. I had a dabble last year with some ASOS mini kick flare jeans which I cropped myself last year but I didn’t really like them enough to want to wear them so I eventually put them to the charity bag. I wish I hadn’t, they were still ten times better than anything else I’ve seen for someone our size. 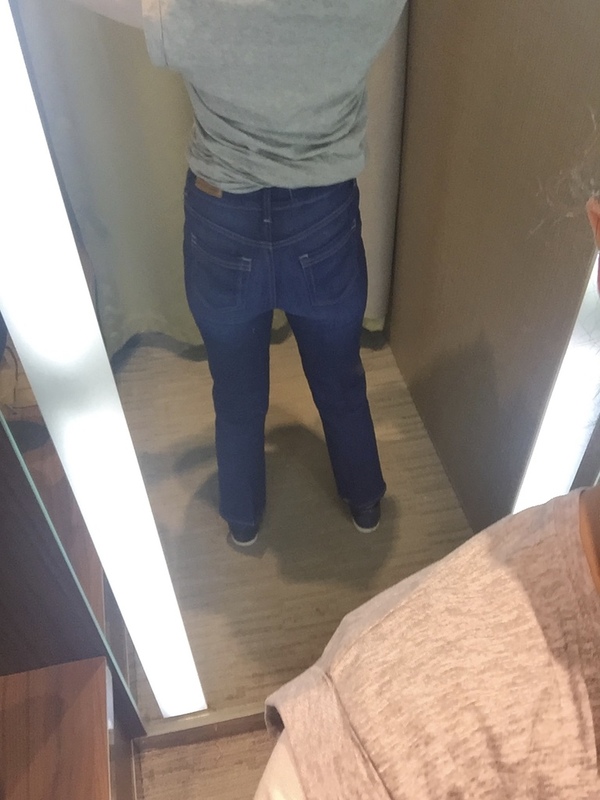 And don’t talk to me about Next jeans – there is something about the cut of them which goes into frumparama territory for me – they just look so bad on me. Thanks Sue! 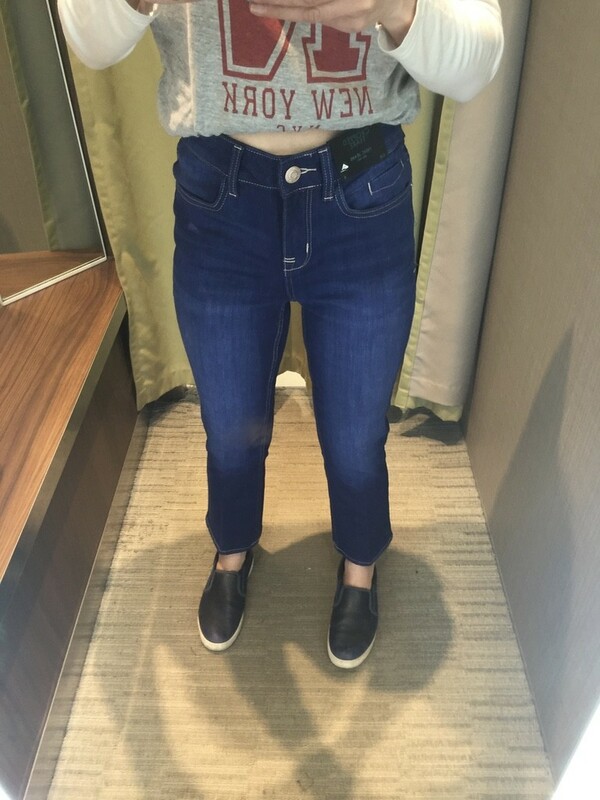 Its a bl**dy nightmare… I really want a lovely pair of crop-kick cargos or jeans but for the latter, you need a ‘stiffer’ cargo pant and jeans… well, what’s with the high waist that HAS to go with the crop?! Sunday 7 – Get your sparkle on!